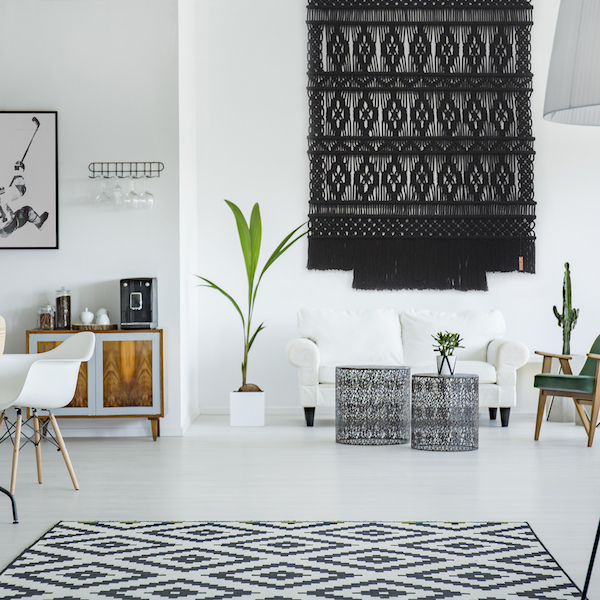 With the bohemian and seventies retrieval in our interiors we also saw crafts like macramé coming back. 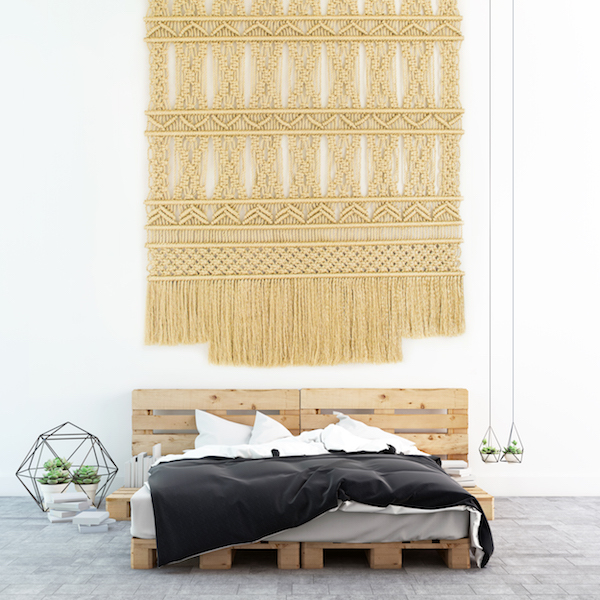 I have never been a fan of an urban jungle and the macrame plant hangers aren't my thing at all but I do love to show you more of the work of Milla Novo. 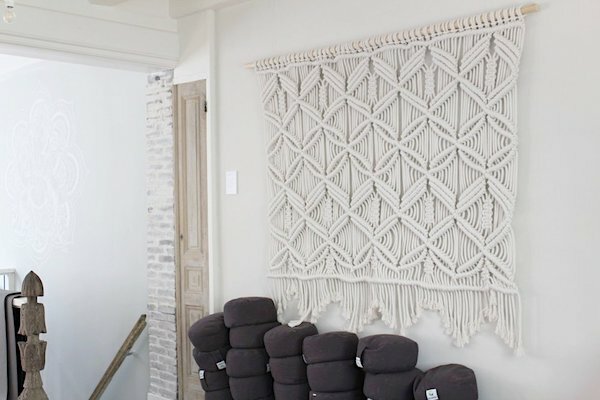 Milla Novo brought the art of Macramé into the next century with her impressive macramé wall hangers, while staying close to her Mapuche roots by integrating traditional symbols into many of her large pieces. Milla Novo designs exclusive wallhangings for high-end interiors, event decoration, window displays, and home decor. All unique hand made pieces of art. It's not even a year ago I first came across her work during an open house at Lolo Loren last Summer when visiting Ibiza. In September she showed her work at ShowUp where her wall hangings were also displayed at the always inspiring trendpodia of Jantine Benschop & Jan Agelink and six months later I saw her back at Masterly in Milan! 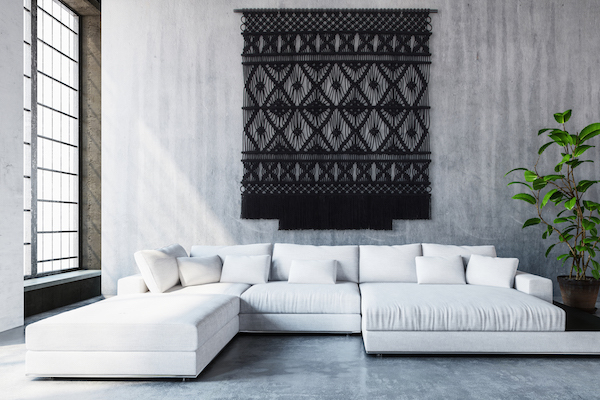 Milla is based in the Netherlands but her roots lie with the indigenous inhabitants of south-central Chile, The ‘Mapuche’ people. She grew up with craft, making macrame bracelets as a kid and learning from her mum. Her mother who still resides in Chile continues to play an active role in the Mapuche community and practices traditional weaving techniques. She has helped introduce Milla Novo to Mapuche crafts and more specifically the patterns and symbols that have been used for centuries. 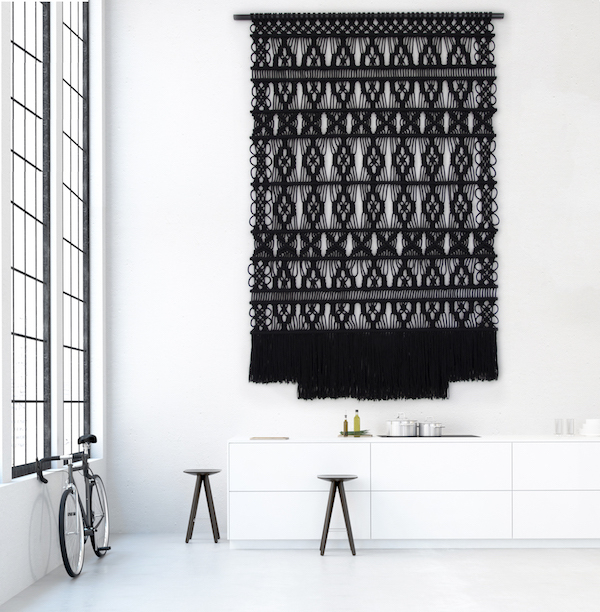 Milla Novo's work gives her an opportunity to share a small part of Mapuche heritage by integrating these traditional symbols into many of her large macramé wall-hangings.